In May 2018, hundreds of women gathered for the first Happy Mom Conference—it was a dream come true! The beautiful day was filled with mamas enjoying the opportunity to be themselves. 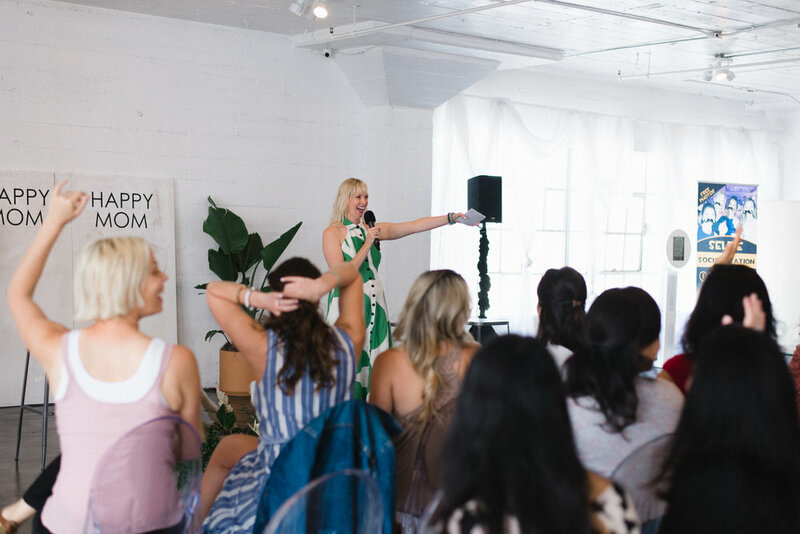 They mingled, networked, shopped, learned, and left the event feeling inspired & refreshed. The event’s success is attributed to the amazing speakers & partnerships we formed. Thank you for your contribution and dedication to giving mamas the well-deserved day they needed. Read the recap here. founder of Robyn Young & Co.
For press inquiries, please contact Clover PR, a full service Branding, Digital Marketing and Public Relations company via email hello@clover-pr.com. Enter your info below to learn more about the Happy Mom Conference, including upcoming giveaways & exclusive promotions from our sponsors.